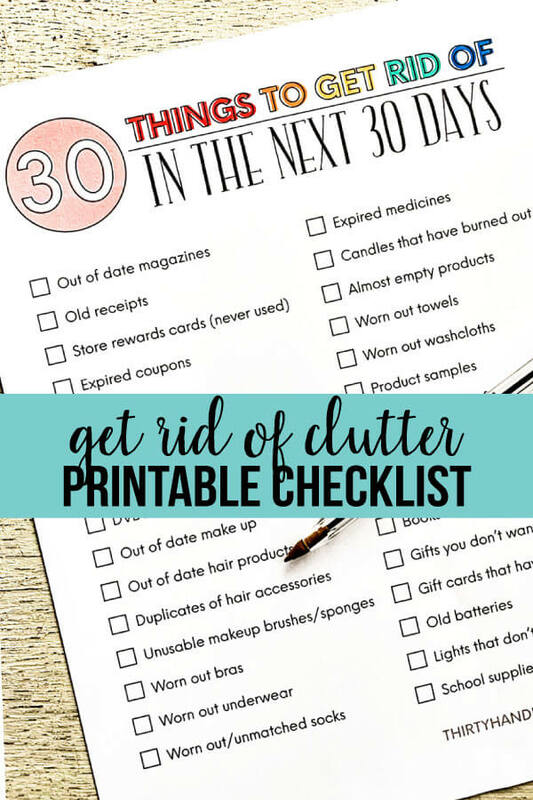 Use this checklist to declutter your home over the next 30 days! 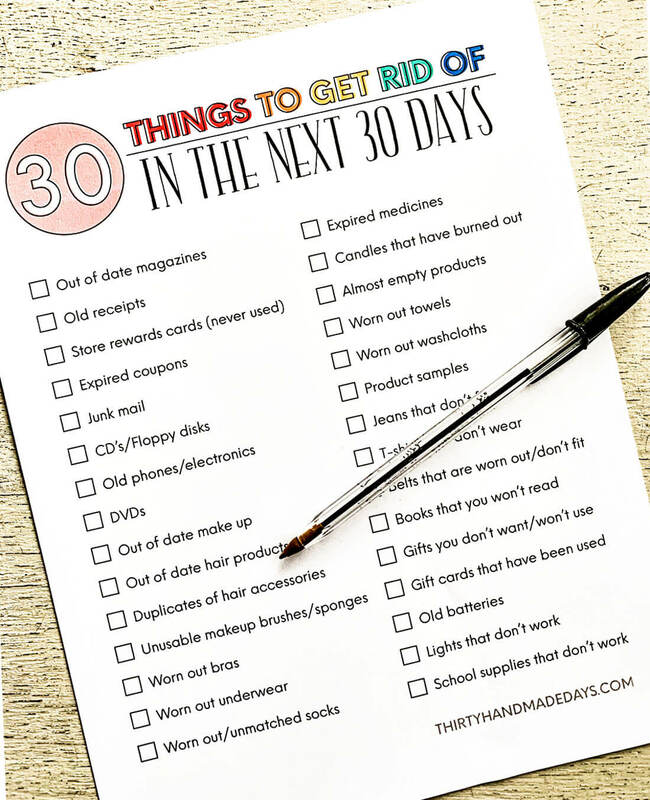 Cross each item off, one by one and in a matter of a month you will feel so much better. With all of the KonMari talk floating around these days, I have jumped on the bandwagon of trying to declutter and organize my home better. 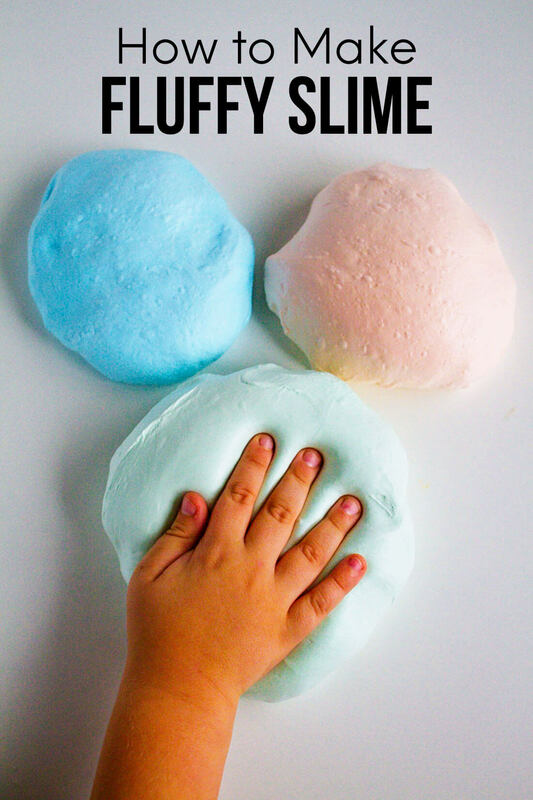 At the beginning of every year it seems to be the theme – get rid of junk, lose weight and be healthier. Am I right? Because I’m a visual learner, seeing things written down always helps. 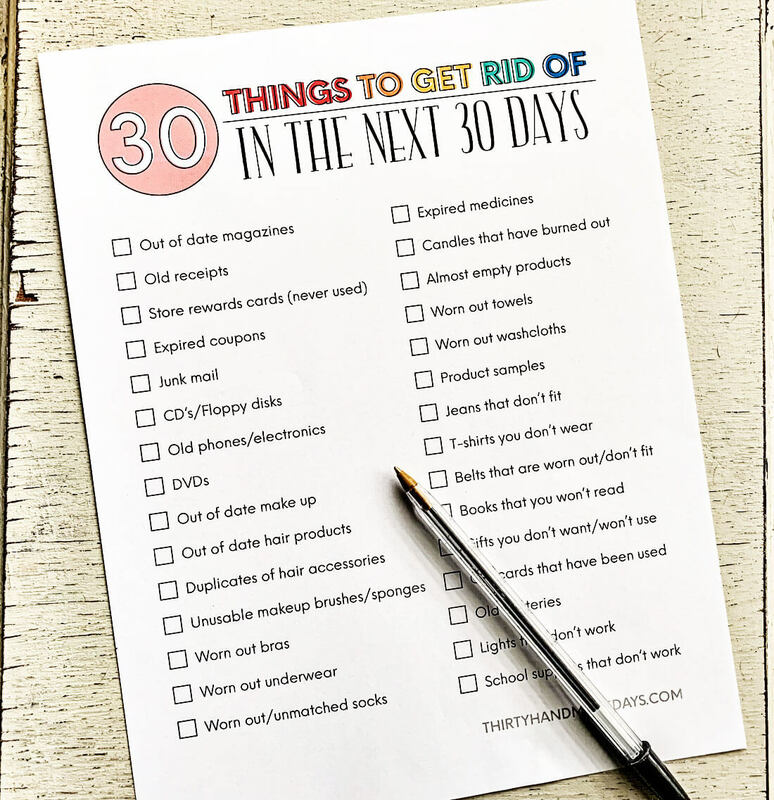 In an attempt to get rid of more stuff, I created this 30 Things to Get Rid of in the Next 30 Days Printable. Out of date magazines: go from room to room and look for magazines (under beds, in closets, in bins, etc). Put them in recycling or the trash. Move on to the next item. Places like Goodwill, Deseret Industries and the like accept a lot of items. Donations are a tax write off too. In the past we have gathered old towels, blankets, sheets and donated them to our local animal shelter. They were so grateful! Make a little extra cash and get rid of clutter at the same time. Win/win! For electronics – transfer your old dvds, cds, floppy disks onto a cloud based service. You can still have access to old photos and movies without taking up a lot of space. 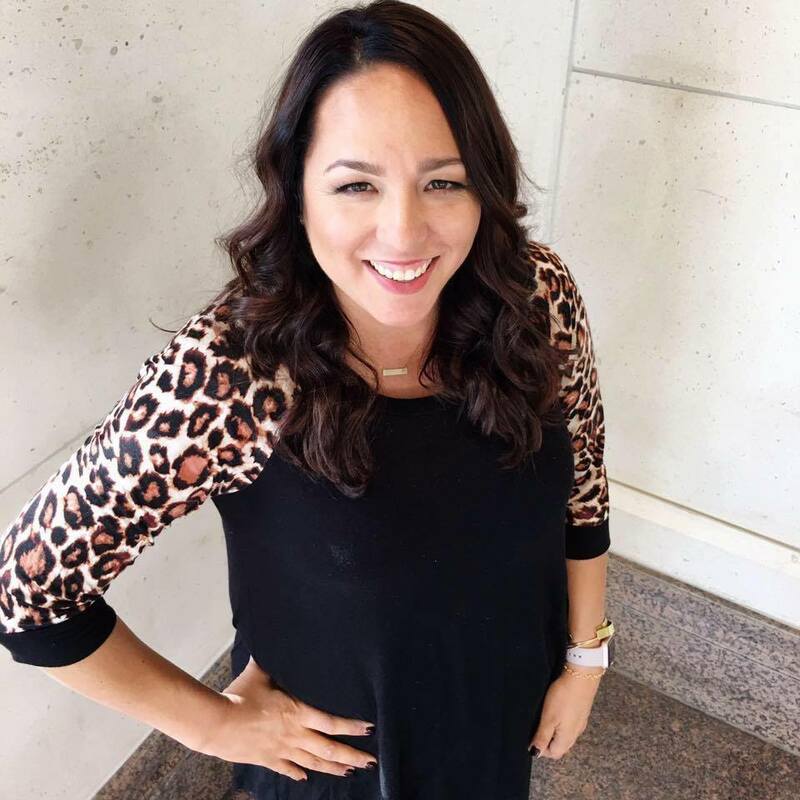 There are companies that do this too! 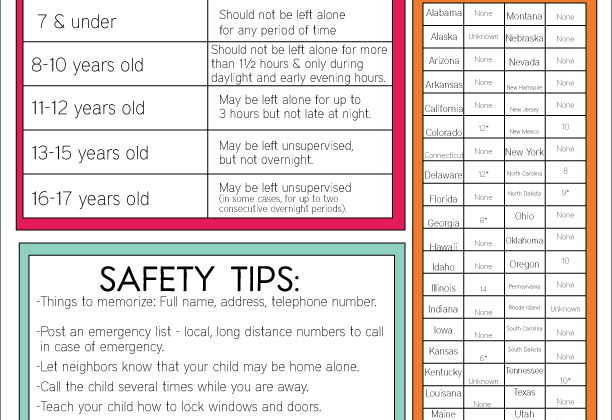 ——>>> Download my printable checklist. For personal use only.